The world’s love affair with eBooks is undisputed. According to a recent Pew Research Center study, a quarter of all Americans aged 16 or older have read an eBook in the last year. Juniper Research forecasts that annual revenues from eBooks delivered to portable devices will grow to $9.7 billion by 2016. E-books are now “a multibillion-dollar category for us and growing fast—up approximately 70 percent last year,” noted Amazon Chief Executive Jeff Bezos recently in his company’s fourth-quarter earnings report. But, it was a tinkerer and Eagle Scout — the son of two Indiana college professors — who is credited with starting the eBook revolution. On Independence Day 1971, Michael Stern Hart decided to type the text of the Declaration of Independence into a computer at the University of Illinois at Urbana-Champaign, and to transmit it to other users on the computer network. 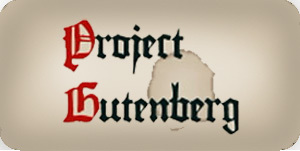 At the time of his death in September 2011, Project Gutenberg hosted eBooks in 60 different languages. Currently, the site offers more than 42,000 copyright-free e-books for free download, with a library that includes The Adventures of Sherlock Holmes, Peter Pan, and A Tale of Two Cities. Proofed by volunteers, these titles are downloadable to eReaders or PCs. Happy birthday, Michael Stern Hart. Writers and readers the world over are in your debt. 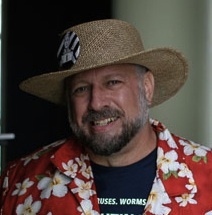 This entry was posted in Author & Literary Trivia and tagged eBook inventor, Michael Stern Hart, Project Guttenberg on March 8, 2013 by AnneWainscott.